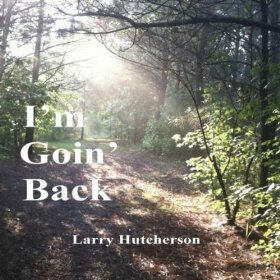 Larry Hutcherson – I’m Going Back (Independent) There’s a certain dependability to North Carolina based Larry Hutcherson’s “I’m Going Back”, which is reassuring and extremely heartening. The veteran guitarist-singer-songwriter has been playing professionally since the mid-70s, and if you take the time to find it, there’s a list out in the ether of former band-mates, current musical collaborators and artists he’s jammed with over the years that’ll get the little hairs agitated on the back of the neck of most rock fans. For all his years in and around the ‘business’ there’s not a great deal of recorded music to be found – especially solo records. He released “Some Get Lucky” in 1994, but we’ve had to wait almost two decades for the follow up, “I’m Going Back”, a ten-track album that can be filed loosely under Americana, though it’s an old-school version of the genre, which owes more to The Band, late Byrds and Neil Young, rather than contemporary indie artists who’ve adopted various roots and/or Americana traits.